With his May 19 birthday, Cupid wasn’t likely to be at his best as a 2yo, but this $900,000 yearling made up for lost time as a sophomore, posting three Gr.2 victories. Then at four Cupid won the Gr.1 Gold Cup at Santa Anita. Cupid’s dam has four SW’s to her credit, including Ashley’s Kitty (7f Gr.3 winner) and Heart Ashley (6f Gr.3 winner). 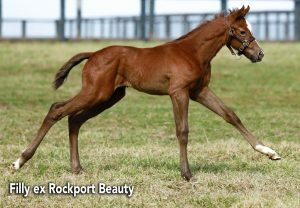 Her 2017 colt by American Pharoah sold for $1.2m. 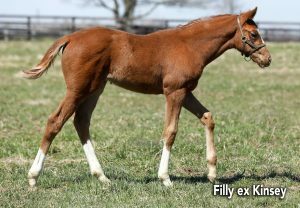 Cupid’s female line’s speed will help him sire plenty of juvenile winners. 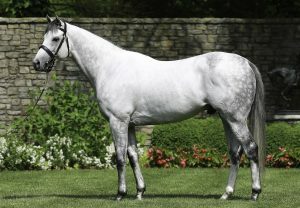 Tapit has earned a Two-Year-Old Sires championship as well as his three General Sires titles. Mares by eight different sons of STORM CAT have supplied Graded winners by TAPIT. Among them are GIANT’SCAUSEWAY and HENNESSY. 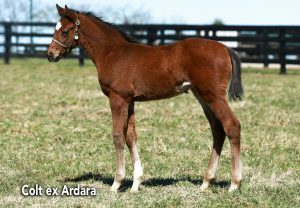 Mares by TALE OF THE CAT create a pedigree featuring the sisters Preach (dam of Pulpit) and Yarn (dam of Tale of the Cat). 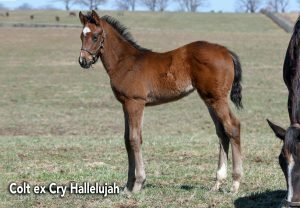 HARLAN’S HOLIDAY and MENIFEE have daughters with Gr.2 winners by Tapit. Although Tapit has two lines of Mr Prospector, he owes 15 of his Graded stakes winners to mares from the Mr Prospector line. Among the stallions involved were CARSON CITY, GONEWEST and his sons GRAND SLAM, JOHAR and MR GREELEY, as well as FORTY NINER’s sons DISTORTED HUMOR and EDITOR’S NOTE. 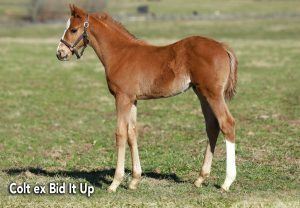 Tapit has a dam by UNBRIDLED but he has already sired Gr.1 and Gr.2 winners from daughters of UNBRIDLED’S SONG. His Gr.1 winner Sweet Loretta is 3x3 to UNBRIDLED and Gr.1 winner Ring Weekend is 4x3 to FAPPIANO. Four of Tapit’s Graded winners, including two Gr.1 winners, have second dams by ALYDAR. Cupid’s dam has the brothers Viceregal and Vice Regent in the third and second generations of her pedigree. 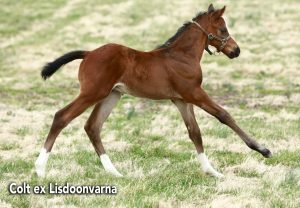 VICE REGENT’s son DEPUTY MINISTER is broodmare sire of the top-class Tapit colts Tapizar and Frosted. Cupid could suit mares by DEPUTY MINISTER line stallions. 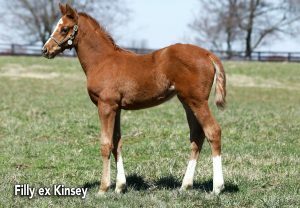 Another of Tapit’s sons has a Gr.1 winner out of a GHOSTZAPPER mare. Tapit sired Gr.1 winner Laragh from an EL PRADO mare. SADLER’S WELLS sired the second dam of Gr.2 winner Lani. Although Tapit is from the SEATTLE SLEW line, he appears on the dam’s side of several of his good winners. Frosted and Tapwrit are inbred 4x4. Gr.2 winner Dancing House and Gr.3 winner Touching Beauty are inbred 4x3. 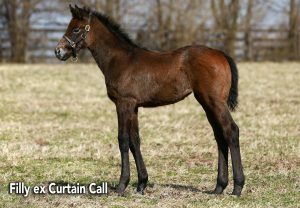 Therefore Cupid should suit mares by the likes of BERNARDINI, MALIBU MOON and MINESHAFT. Tapit has sired Gr.1 winners from mares by KRIS S. and his son PRIZED, the latter being the broodmare sire of Untapable. Tapwrit has a second dam by Roberto’s grandson HAWKSTER. DIXIELAND BAND and DIXIEUNION are among the broodmare sires of Tapit’s Gr.2 winners. PLEASANT COLONY sired the dam of Tonalist, as well as the second dam of Gr.1 winner Zazu and Gr.2 winner Flashback, while his son CHEROKEE COLONY sired the second dam of Gr.1 winner Laragh. PRIVATE ACCOUNT is broodmare sire of Trappe Shot, while his son PRIVATELY HELD is broodmare sire of Creator.